Take my picture, please, please, please! 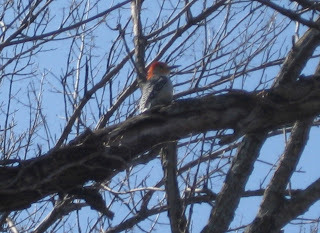 Today the red-bellied woodpecker wanted to appear on the cover of the supermarket checkout tabloid. It was jealous of yesterday's downy woodpecker. There's no other explanation for its cooperation with the papparazzi.